The House of Cards Season 3 release date will almost certainly be delayed after lawmakers in Maryland failed to pass last minute legislation, which could result in producers of the Netflix series taking the program elsewhere. As midnight on Monday approached, the 2014 Maryland General Assembly Session was heading towards its close when lawmakers began to discuss whether they should give in to House of Cards producers who had demanded millions of dollars more in tax credits. Netflix has filmed its first two seasons mostly in and around Baltimore, however, recently producers threatened to take filming to another state of Maryland did not approve an increase of tax credits. House of Delegates representatives have strongly opposed the demands, however, some State Senators have urged that the state do all it can to keep the hit Netflix show in Maryland. The two sides debated a new incentive program, with some estimating that they would have to raise the current figure of $15 million in tax credits to about $18.5 million. However, as the minutes ticked by towards midnight, the two sides remained deadlocked. Just in January, Media Rights Capital, the maker of House of Cards, told Gov. Martin O'Malley (D) and House Speaker Michael E. Busch (D-Anne Arundel) that production crews would "break down our stage, sets and offices and set up in another state" if the tax credits increase was not approved. Del. C. William Frick (D-Montgomery) has been one of the most outspoken advocates against giving in to the Netflix show – a stance that has led some to label him "A Real Life Frank Underwood," a reference to the main character in House of Cards, played by Kevin Spacey. Despite a last gasp debate on the issue, by midnight on Monday the session ended with no resolution and the legislation was killed. That has left fans concerned about what it all means about Season 3 of the hit show. If filming for House of Cards has to relocate to another state, it will undoubtedly cause significant delays to the Season 3 release date. However, despite the collapse if talks on the tax credit issue, there are still those in Maryland willing to find another way around the issue and to keep the show in the state. Senate President Thomas V. Mike Miller Jr. (D-Calvert) said Tuesday that despite this week's development the state will find the money to keep House of Cards in the state. A spokeswoman has confirmed that the governor's office is working with representatives from House of Cards to reach an agreement. Miller clarified that it's not the draw of Hollywood that was driving the efforts, but something more simple: "It's not because we're star-struck. We want to keep these money-makers here." 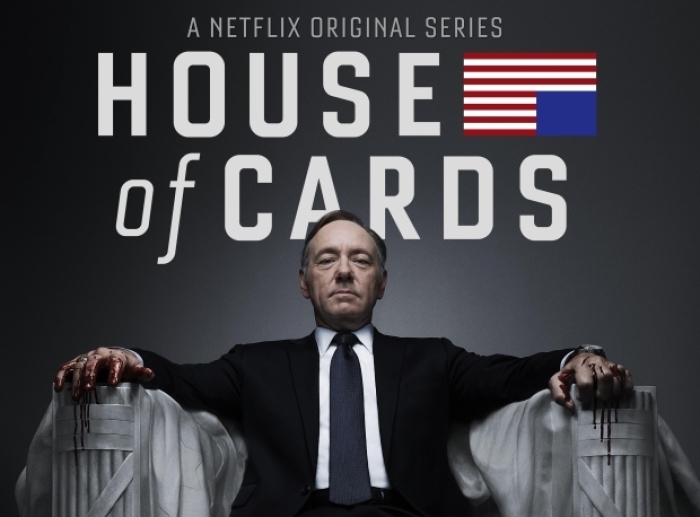 It was initially believed that House of Cards Season 3 could start filming as early as Spring 2014, however, it now looks like filming will delayed significantly until later in the year, which means an early 2015 date is almost certainly off the cards. Fans of the Netflix show probably can now expect to have to wait for Season 3 until at least mid-2015 if not longer.